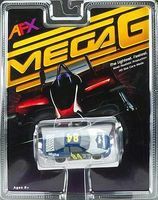 This is the HO Scale Mega-G Stocker Blue #84 Slot Car by AFX. Suitable for Ages 8 & Up. 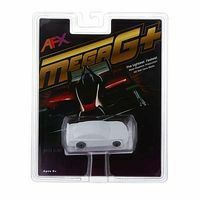 This is the HO Scale Mega-G+ Stocker White Chevy SS Slot Car by AFX. Suitable for Ages 8 & Older. 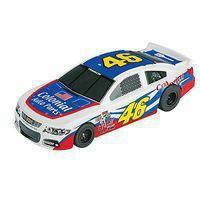 This is the HO Scale Mega-G+ Stocker #46 Chevy SS Slot Car by AFX. Suitable for Ages 8 & Older. 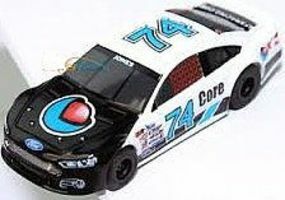 This is the HO Scale Mega-G+ Stocker Ford Fusion #74 Slot Car by AFX. Suitable for Ages 8 & Older. 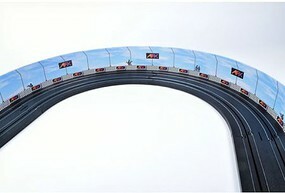 This will count a lap for each time the slot car passes this piece of track. 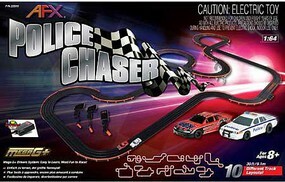 Will count up to 10 and used on HO size slot cars.